At the end of last month, it was announced that Sasha Velour, season nine winner of RuPaul’s Drag Race, would be collaborating with Opening Ceremony on its SS19 show. Last night, the show took place and it was nothing short of a lip sync extravaganza. 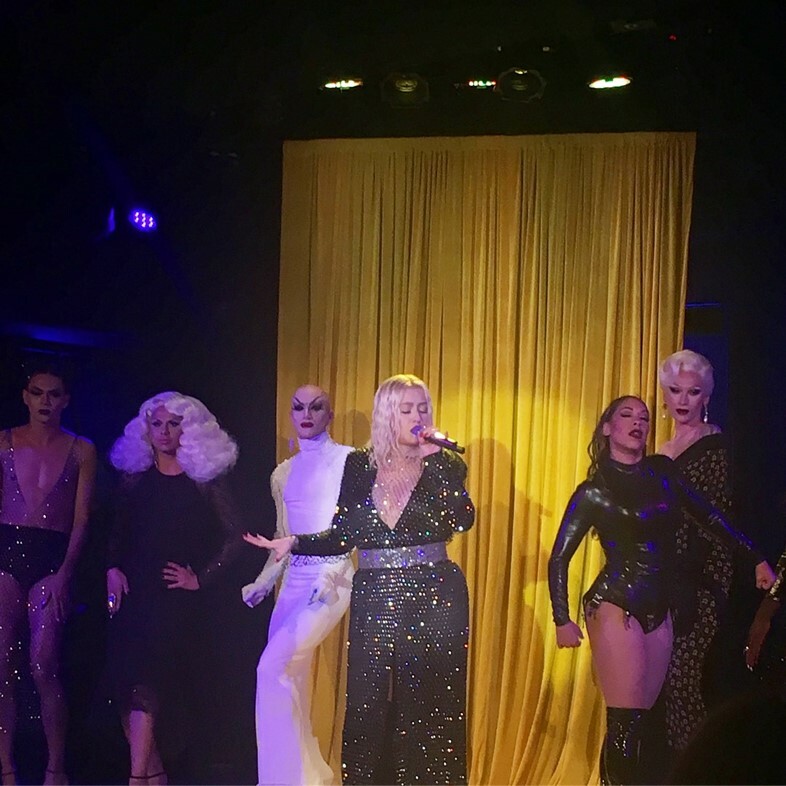 With Velour acting as emcee, she was joined on stage by an entirely queer cast that featured some familiar Drag Race faces like Shea Couleé, Miss Fame, Jiggly Caliente, and Farrah Moan. Each queen was tasked with reinterpreting a fabric from the collection and recreating a lewk that they then performed in. Unsurprisingly, attendees got their life at the show, going wild when it was announced that Xtina would be taking to the stage. OK, so it was actually a cardboard cut-out at first, but then IRL Xtina later appeared to sing the house down. While Ru’s girls snatched wigs with their stellar performances – Jiggly Caliente’s rendition of Beyoncé’s “Baby Boy” was obviously a highlight – Mother Ru was busy snatching Emmy’s, collecting four from last night’s awards show. What more reason for a good old kiki? Here’s to hoping the rest of the season is equally fabulous.